Creating an Always Culture is about helping your care team become patient experience champions. 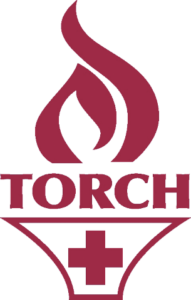 Always Culture is a Texas-based company and we are proud to partner with TORCH – the principal advocate for rural and community hospitals in Texas. We want to see rural Texans receive exemplary care, so we are pleased to offer a 50% discount to TORCH Hospital Members on Always Culture products. Always Culture is a series of patient-centered training videos focusing on specific measures directly from the HCAHPS survey. These videos address five key HCAHPS measures, each with an employee-facing video and a patient-facing video. This Bilateral Approach is the key. When your patients begin their stay by having their expectations set, and then have those expectations met and exceeded by an attentive, compassionate, communicative and responsive team, they will be more likely to answer “always” to the questions on their HCAHPS survey. This will help create a culture of compassionate service in your organization. A culture of caring.